“It was not until my campaign was in full swing that I realized the impact Gary’s endorsement carried. As past President of the Colorado Association of Realtors, he was as well known and respected in Vail and Steamboat Springs as he was in Winter Park. As a result of his influence, I received the endorsement of the Colorado Association of Realtors. 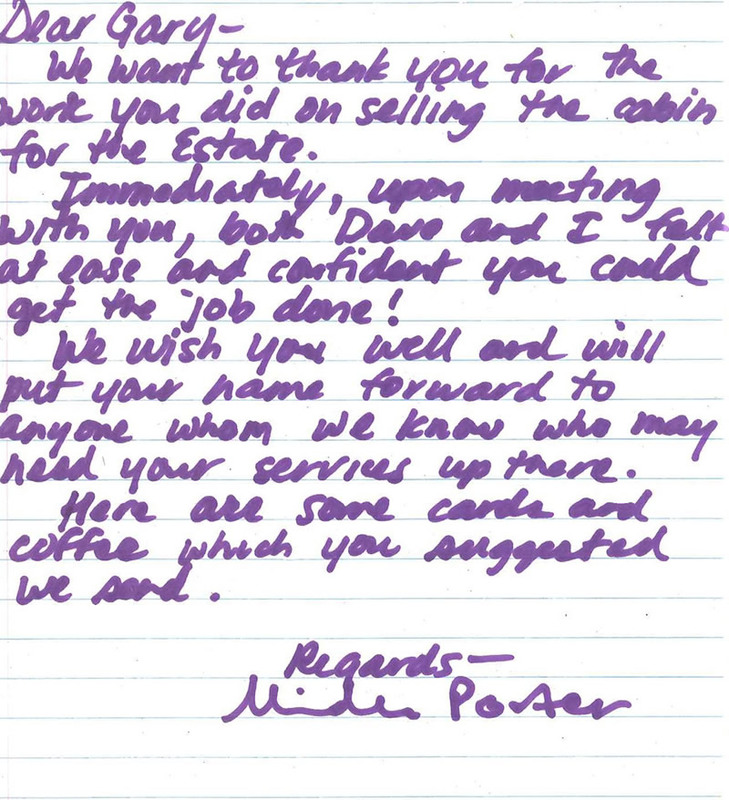 “We wanted to write to express our appreciation and satisfaction with the work you performed for us to purchase our lot in Winter Park Highlands. With a rather thin land market at the time we began our search, you were diligent and persistent at finding land as soon as it was available on the market. We appreciated the fact that you were familiar with all of the areas that would suit our building needs and that you encouraged us to be patient and wait for the ideal lot to become available. As a Buyer’s Agent, when we did find the right lot, you provided us with the insight and advice we needed to close the deal at the right price. The entire process through closing was relatively painless. It was the fun and rewarding experience that we had hoped it would be.